AS Monaco have concluded a very successful season this term and have clinched the French Ligue 1 title after 17 long years. The French side have shown a dominating performance throughout the season, also continuing their good run in the Champions League to enter the semi-final, finally bowing out to the Italian champions Juventus. All the players of the Monaco side have been brilliant throughout the season, and have attracted a lot of interests from a number of clubs from all over Europe. Bernardo Silva, one of their mainstays in the midfield have been already bagged on a four-year long deal by the Premier League side Manchester City and this might indicate a mass exodus of the talented players who have been targeted by a number of big name clubs. The player who has been linked the most with a move away from the French champions is their mercurial striker Kylian Mbappe. The 19-year-old has burst into the scene to become one of the most highly rated strikers in the current circumstances and is in demand of a big money move to any of the giants of Europe in the summer. The likes of Manchester United, Real Madrid, Barcelona and Arsenal have been more than interested to rope in the mercurial forward from Monaco for the next season. Though there has been no confirmations from either the club or the player over a speculated move in the summer, the French Ligue 1 champions are reportedly looking to monitor players who can be potential replacements for their prized possession in the seasons to come. 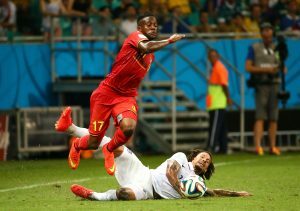 One such player is Divock Origi from Liverpool, who might come into the side for the next season. 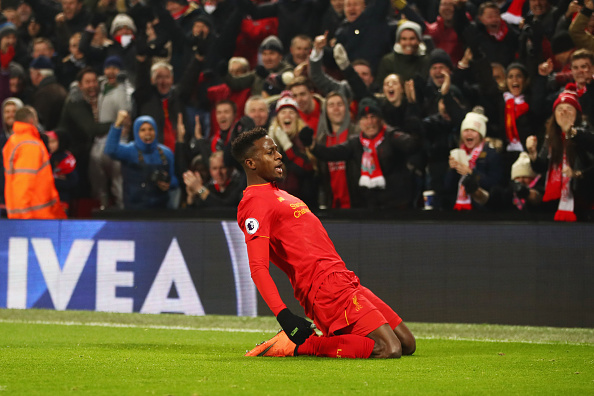 The Belgian striker has been a good player for his Premier League team and has scored seven goals in the Premier League this season for the Reds. He has shown great precision in front of the goal and has also laid off a number of assists in order to allow his teammates to score goals. The youngster has been in good form, to say the least, and that has been showing in his game throughout the season. However, the lack of starts is one problem that the player has been facing throughout the season. He has started in only 14 of the matches for Liverpool this term and has been used as a substitute on 20 more occasions by his club coach Jurgen Klopp. This might be a problem for the Reds to keep hold of their prized possession, who might get the chance to start matches in case he moves to Monaco. West Bromwich Albion To Move For This Algerian Marksman: The Ideal Foil For Rondon? Liverpool Set To Offer This Striker A New Contract: The Right Call By Klopp? Wolves Set To Move In For This £20m-Rated Liverpool Forward: Shrewd Move For Nuno Santo? On Loan Liverpool Ace Speaks About His Future: Does He Have Any At Anfield? Is This 23 Y/O Forward Good Enough To Force His Way Into The Liverpool First Team This Season?